Apple has finally launched their latest Apple iPhones, today, the iPhone XS, iPhone XS Plus, iPhone XR, today in Cupertino, USA. The Cupertino giant is calling their new larger variant of the iPhone XS as the iPhone XS Max which features the most massive display on an iPhone ever. 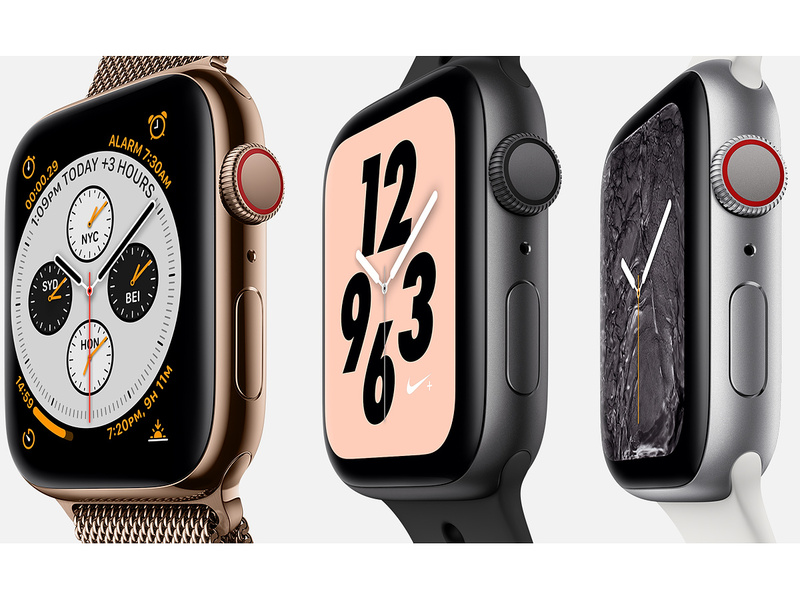 Alongside the two,the company had also launched the iPhone XR and the Series 4 Apple Watch, as well. The iPhone XS sports a 5.8-inches super retina OLED display with 2436×1125 pixels, while iPhone XS Max features a 6.5-inch Super Retina OLED panel with 2688×1242 pixels of resolution. The screens have Dolby Vision and HDR10 support and 60% greater dynamic range than the outgoing iPhone X. The phones have a 120 Hz touch sensing Tru Tone display and come with 3D Touch, as well. Powering the iPhones is the Apple A12 Bionic SOC which uses a Hexa-core CPU with Fusion Architecture with a Quad Core GPU, and an 8 Core Neural Engine which can perform up to 5 Trillion Neural Engine operations per second. The Bionic SOC is made of 6.9 Billion transistors and is built on the power efficient 7 nm manufacturing process. It is said to offer up to 30% faster app loading times with iOS 12. For storage, the iPhone is offered in 64 GB, 256 GB, and a sizeable 512 GB variant. For imaging, the iPhone XS and the iPhone XS Max have a dual camera setup on the back. The primary sensor is a 12 MP unit with 1.4 um pixels and a f/1.8 aperture, the second sensor is a 12 MP telephoto unit with a f/2.4 aperture. The ISP with the Neural Engine uses segmentation to differentiate the background and the subject as well as it can also do facial landmarking. The iPhone can shoot 4K videos, while the audio recorded through the four microphones offer a stereo sound. The cameras also provide Smart HDR with the help of Zero Shutter Lag, captures interframes as well. The cameras are assisted by a true-tone quad-LED flash. The cameras also let users change the depth of field of portrait shot after it has been taken. On the front, the phones have a 7 MP selfie shooter which supports portrait mode, as well as portrait lighting mode as well. The batteries on the XS and the XS Max last half an hour and one and half hour more than the iPhone X. The phones also support Qi Wireless charging. The iPhone XS and the XS Max are the first iPhones to ship with Dual SIM slots. The iPhones will come with eSIM technology, which also has support for Dual SIM Dual Standby. However, China would get a physical Dual SIM variant due to the restrictions in the country, while other countries including India would get the e-SIM technology. Other connectivity options include Bluetooth 5.0, 802.11ac dual-band Wi-Fi with MIMO support, NFC with reader mode for contactless transactions and GPS with GLONASS. Both the phones are now IP68 Water and Dust resistant up to 2 meters up to 30 minutes. 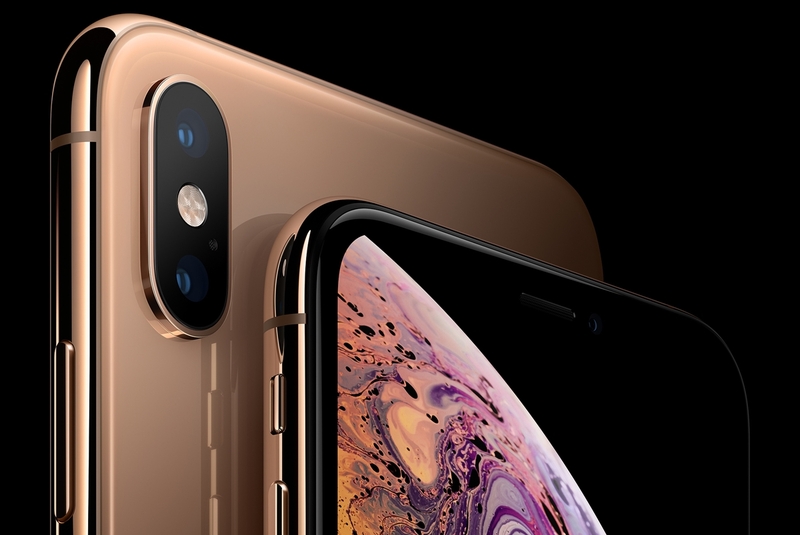 The iPhone XS and the XS Max are made out of surgical grade stainless steel frame with gold finish and glass on both the front and the back. The audio on the iPhones is claimed to be improved as well with even wider stereo separation for an enhanced audio experience via the stereo speakers. For security, the iPhones come with new and improved Face ID which offers faster secure enclave. The neural engine onboard also works to understand user’s face over a while. The new A12 SOC also provides great AR capabilities which now lets multiple users connect and play games. The AR multiplayer feature was showcased at the event with an AR Arcade game which uses the new AR Kit 2.0. 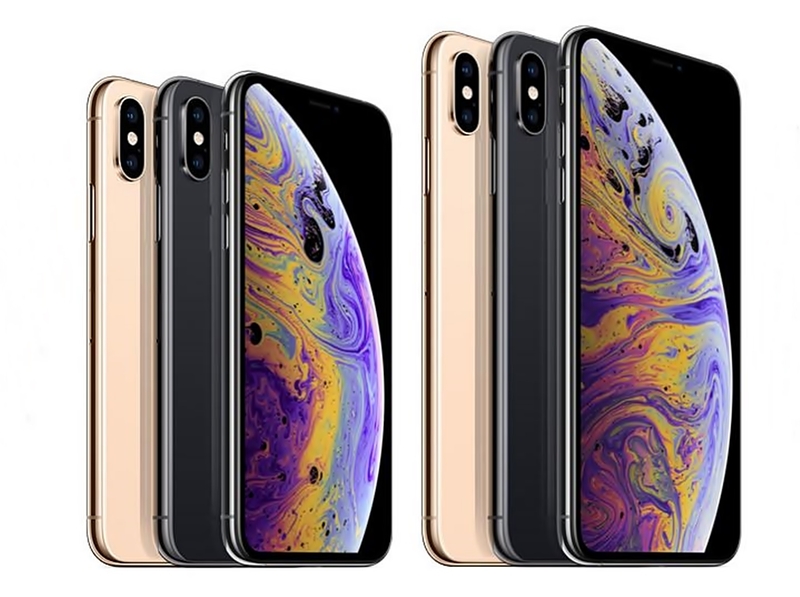 The iPhone XS and the iPhone XS Max come in Gold, Silver, and Space Gray colors. The pricing of the iPhone XS starts from USD 999, while the iPhone XS Max would cost USD 1099. The phones will be available for pre-orders starting from September 14th, while the sale begins on September 21st in a few countries, while India and other countries would get the phones a week later, i.e., on September 28, 2018. In India, the pricing of the XS and the XS Max starts from INR 99,900 MRP and INR 109,900 MRP. Starting 28th Sept. Bigger, better, most powerful and most expensive iPhones ever!! Apple A12 Bionic 7nm based SoC is the something new & impressive apart iPhone XS & XS max backed with some cool powerful features especially in camera segment apart price tag over 1 lac is overpriced as usual.